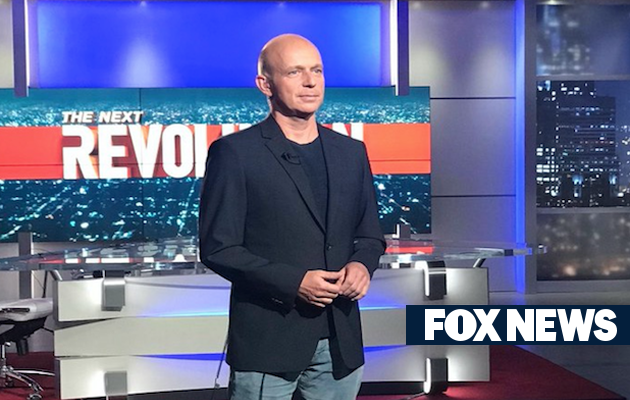 LONG ISLAND, NY – Steve Hilton, the host of the weekly political Fox News Show, “The Next Revolution with Steve Hilton” (which first aired on June 4, 2017), would seem to be anything but an outsider. However, that is exactly how he described himself to me in a recent thirty-minute telephone interview. “I have felt like an outsider since I was a young child and continue to feel that way today”, he told me. That, I thought, was a disarmingly humble self-description from a man who has achieved as much in his forty-nine years on earth as had the English born and raised Hilton, whose life reads like the British version of the American Horatio Alger classic rags to riches stories. It was actually far more than “some success” that Hilton has achieved in his life. That success was first gained through his academic achievements. An excellent student throughout his twelve years in public schools, Hilton, after his high school graduation, won a scholarship to Christ’s Hospital School in Horsham England, later transferring to one of the most academically and socially prestigious higher educational institution in the world, Oxford University. Shortly after graduating from Oxford, Hilton applied, mostly as a “joke”, he told me, for a job that he was almost certain he would never get. But that “joke” turned into a job, which would forever change his life. As Hilton recalled (and, again, as you can read in the book), “At Oxford I found myself rubbing shoulders with the elite. So soon after graduating, I took a wild stab to truly become one of them. I applied, sure it would be a futile attempt, something of a joke, for a job with then Prime Minister Margaret Thatcher. And to my surprise, I was hired”, he recalled. From there the “riches”, or at the time, “political riches” part of Hilton’s story began and would prove to never end. His proficiency as a researcher and writer won the recognition of Thatcher. In 2010, a few cycles after Thatcher’s first election, Hilton, who had become a leader in the Conservative Party (the British counterpart to America’s Republican Party), was named senior advisor to the then newly elected Conservative Party Prime Minister Cameron, who was to serve in that position until 2016 (and to whom Hilton had once famously been referred as “Cameron’s brain”). “Working for the great Prime Minister Margaret Thatcher and helping reorganize, restructure and modernize the Conservative Party eventually led to my appointment as senior advisor to Prime Minister Cameron, who brought me to 10 Downing Street, where I found myself at the center of power in the British Government”, he told me. That was back in 2010. But despite the high-level position he held in the Cameron Administration, just two years later Hilton shocked the world of British politics, when he left England, moving with his wife, Rachel, and two young sons, Ben and Sonny, then an infant, to San Francisco, California, right here in the U.S. It was, though, the job he had just left at Downing Street which he credits for his soon to be achieved incredible accomplishments in America. “Through my work in the British government, I was already fairly well known in the academic, political and media world when I arrived in America, which helped lead to my success here”, he stated. It did indeed. Soon after his arrival in San Francisco, Hilton was offered and accepted a teaching position at Stanford University, located close to his new home. Around the same time, he also acquired access to a new business opportunity, leading to his co-founding and serving as the CEO of a hugely financially successful Silicon Valley tech start-up company. But it wasn’t until 2015, when Hilton authored the best-selling book, “More Human: Designing a World Where People Come First”, which postulates that governments and corporations have grown too large and too powerful to accommodate the needs of its citizens, that he became known to the American public. “I promoted the book on the media, including Fox News. I was beginning to hear my name mentioned and book discussed on television and radio. 2015 was a rewarding and significant year in my life and career”, Hilton stated. But 2016 was to develop into even more of a “rewarding and significant” year for Hilton in both his old and new countries. Throwing himself into the middle of the debate on the Brexit referendum, Hilton returned for a 2016 visit to England to publicly campaign for its passage, which he had also argued for in the paperback amended version of “More Human”, at the time recently published in England. When Brexit, which removed England from its membership in the European Union, passed by a close 52% to 48% margin in June 2016, Hilton received credit from some of its advocates and blame from some of its opponents for its passage. Hilton, however, downplayed his role in the passing of the Brexit referendum. “I was just one person among very many others doing whatever I could to take power from the elites and return it to the people” he told me. “I do not deserve special recognition for that”. Yet, Hilton did in fact receive that “recognition”, not only in England but also in America, where he found himself back in the media, this time, appearing regularly on television news talk shows as a commentator on how and why Brexit passed and how it would impact upon the economy in England and the rest of Europe. There was to be one particular television appearance that would stand out, and it would throw Hilton into the midst of the 2016 presidential election debate. As a guest on the Fox Business Network’s Varney and Company in mid-September, Hilton all but foresaw Trump’s November victory. 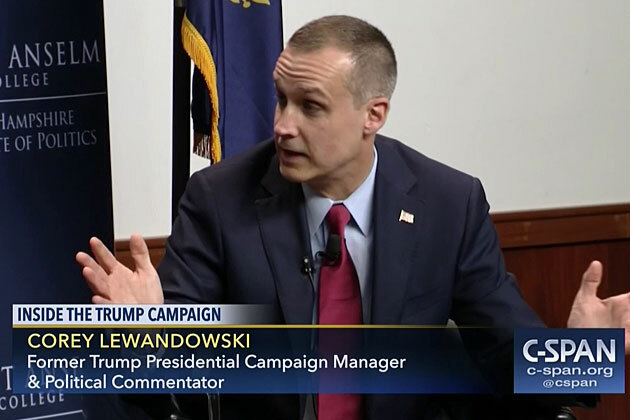 Contending that the anti-elitist sentiments in England leading to the passage of Brexit were comparable to the anti-elitist sentiments prevalent in the then growing pro-Trump movement in America, Hilton predicted that a huge surge of previously unaffiliated voters would show up at the polls and move the election in Trump’s favor. It was a prediction that would receive a good deal of attention at the time. “Because of my own involvement with the Brexit Referendum just months before, my argument [made on the Stuart Varney Show and subsequent television shows] that there was a connection between what had happened in the UK in June and what might happen in America that coming November had credibility and led to my becoming something of a regular on the media circuit”, stated Hilton. That good chance turned into reality when Donald Trump was sworn in as President of the United States on January 20th, 2017 in Washington D.C. 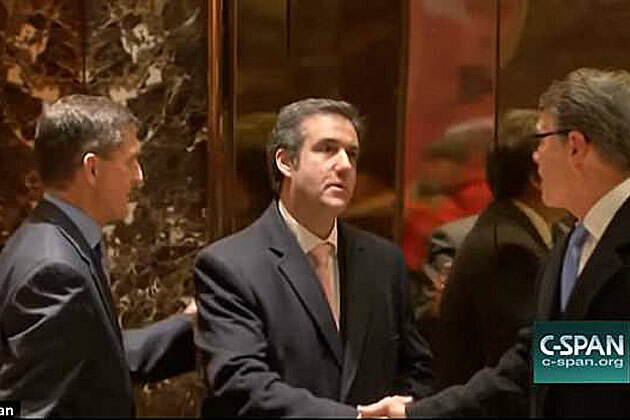 In fact, the Trump Presidency has predictably become one of the main, among many other topics, currently discussed by Hilton and his primarily (but not exclusively) conservative guests on “The Next Revolution”. As Hilton makes clear every Sunday evening to his millions of viewers on his top-rated show, he regards the Trump Presidency as a great success. Strong opinions coming from a guy who still considers himself to be an “outsider”. Robert Golomb is a nationally and internationally published columnist. Mail him at MrBob347@aol.com and follow him on Twitter@RobertGolomb.